As the death toll climbs to 3, including a child, and over 140 injured, Twitter is buzzing with news, pictures, and tweets about the attack–including a lot of truly baffling and vile commentary from media pundits. 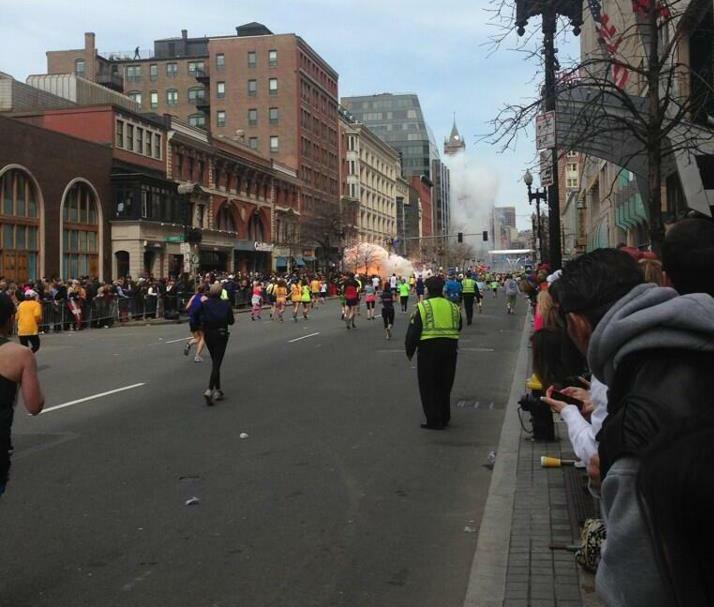 The time-stamp puts the first explosion at exactly 2:50 PM eastern time. It’s a strange world we live in when history and headlines are made and recorded in real time. Photos of the attack (warning: very graphic): The Atlantic and LiveLeak (seriously–extremely disturbing).